For a truly classic and customized addition to your home, look no further than antique snooker tables. 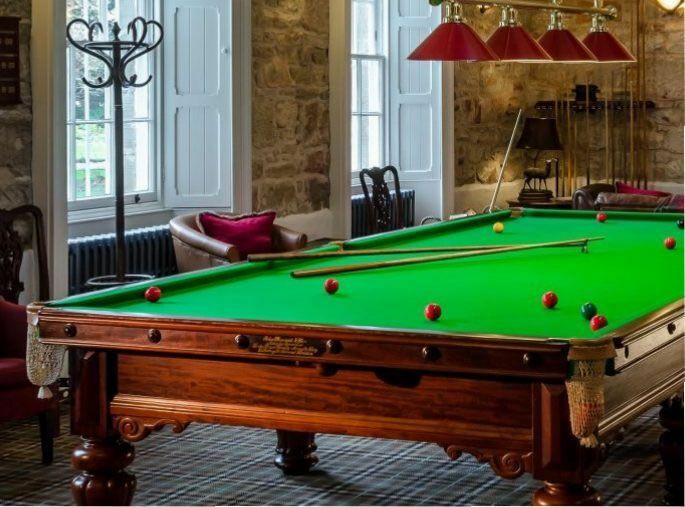 Since 1821, John Bennett Billiards has been in the business of both refurbishing and building new antique snooker tables for homes across the UK. What is a Snooker Table? 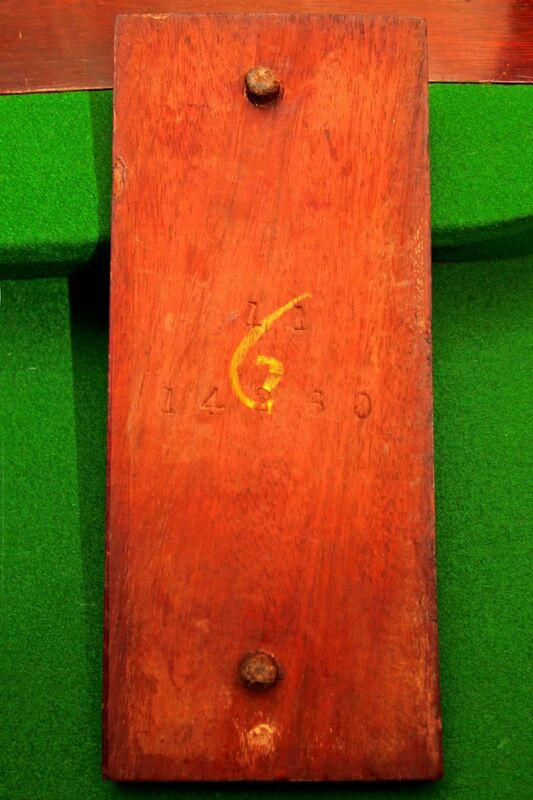 The classic game of snooker is original cue game, played first by Englishmen as far back as the 1900s. As time passed, some of the rules changed, tables became smaller and snooker balls became bigger, eventually giving us the games of billiards and pool. The difference between a pool table and a snooker table is primarily the size. Snooker tables are larger, with an average size of approximately 12’ x 6’. They are also lower…not as tall as a regular pool or billiard table. Yet another difference is the pocket size, which is smaller than a regular pool or billiard table. Aside from rule variations, snooker differs from pool based on the overall size of the table and more snooker balls in game play, which are smaller. The cue sticks are much the same as in pool or billiards, but lighter. Because of the differences and added elegance of a classic snooker table, the cost for a new one can be substantially more expensive. If you are lucky enough to own a snooker table, refurbishing this beautifully-designed table is a must, in order to restore this lovely antique furniture piece back to its original condition. At John Bennett Billiards, we have a collection of beautiful, hand-refurbished antique snooker tables. Let us show you how we can work with your space and budget to give you a custom-designed table that will work perfectly for you and your home. With our knowledge of the history of snooker and billiard tables, John Bennett Billiards are very selective in the tables we buy and sell. You can be guaranteed to have a superb, high quality, Antique snooker tables, both as a piece of furniture, and as a games table. All the tables we have for sale are from a small handful of the best manufacturers of their day. All tables are sympathetically restored, when commissioned, to the customer’s specification, matching as close as possible to its original condition. With our own workshops in Kent, we have the facilities for total renovation, including wood turning, veneering and polishing. We have, over the years, accumulated, many original spare parts. 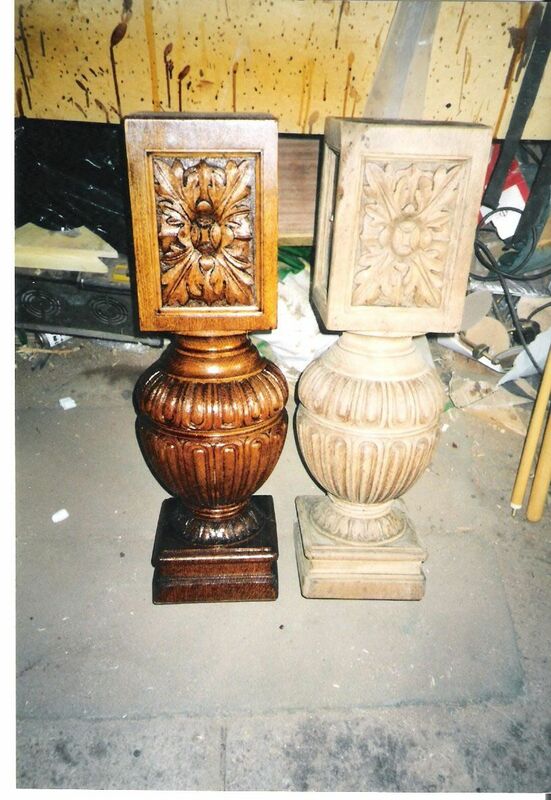 We can therefore restore tables using many original parts and age-similar timbers. All our prices include delivery and ground floor installation, within 50 miles of Maidstone. 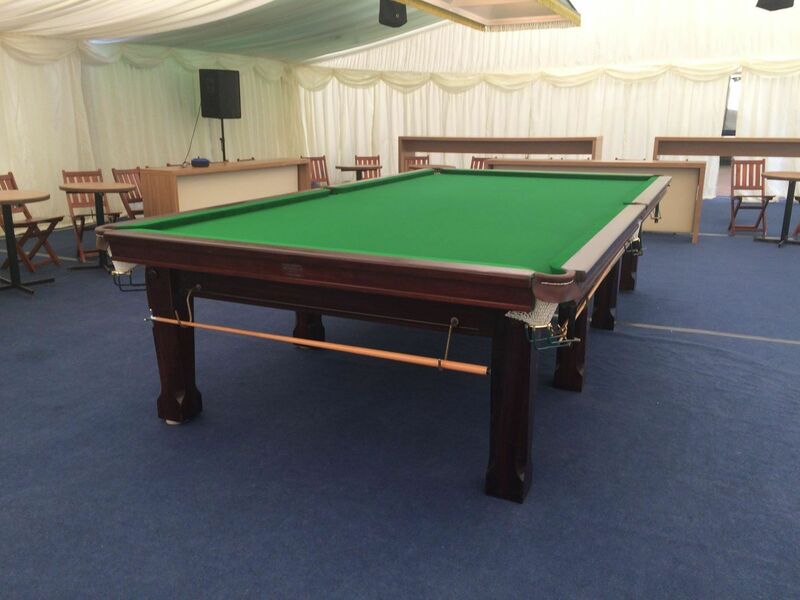 The tables come complete with a full range of accessories which include 4 cues, long rests, cross rest, spider rest, wall mounted cue rack, dust cover, table brush, snooker balls, triangle and chalk. Effectively everything you need to get started. Getting the right Antique Snooker table for you is important to us, that is why we encourage you to call us (01622 815623) or email us (info@johnbennettbilliards.co.uk) to talk about the possibilities of a custom table, as we have a lot of items which are not listed on this website and special offers available. Antique snooker tables are far more than pieces of furniture you can store in the corner in your basement. Instead, they are a beautiful masterpiece that you will be proud to show off to friends and family. They’re also perfectly functional to where you can play great games with guests or to improve your personal skill. 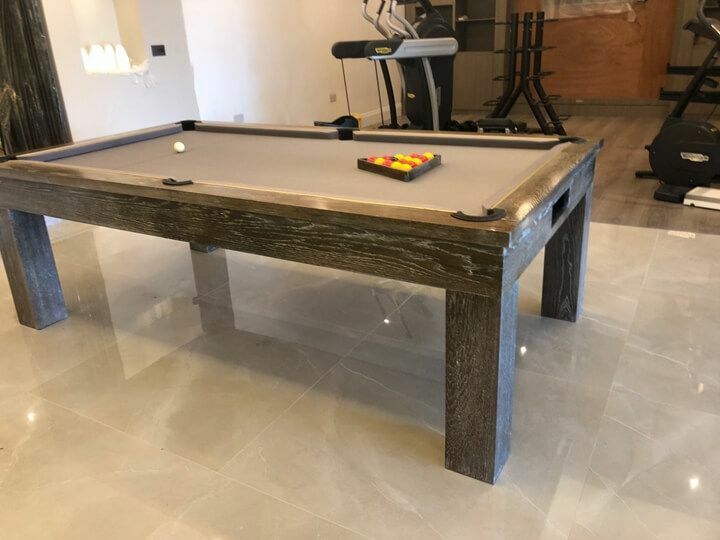 At John Bennett Billiards we take the traditional idea of antique snooker tables and bring it to a brand new level, giving you the ability to experience the true benefits of having an antique in your home. 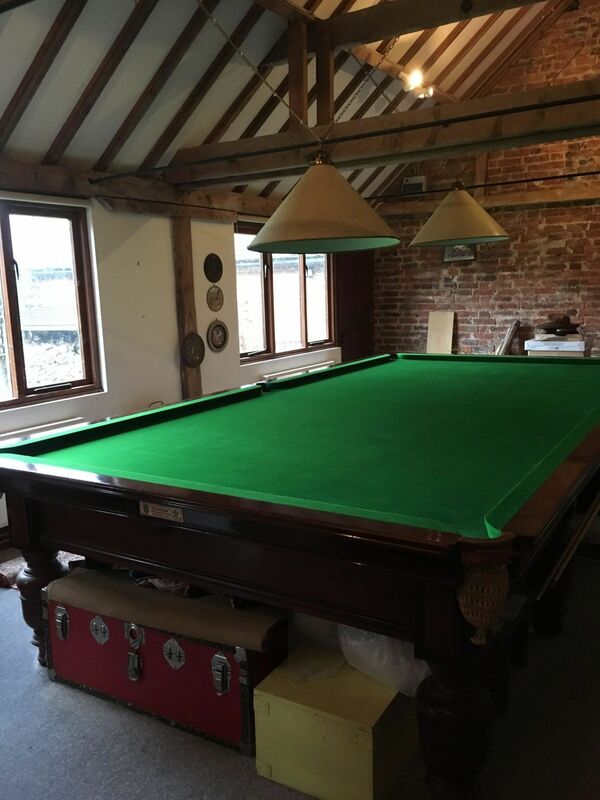 With our high-quality artisan craftsmanship and refinishing skills, we are able to restore and revitalise any size snooker table to look stunning in any space. 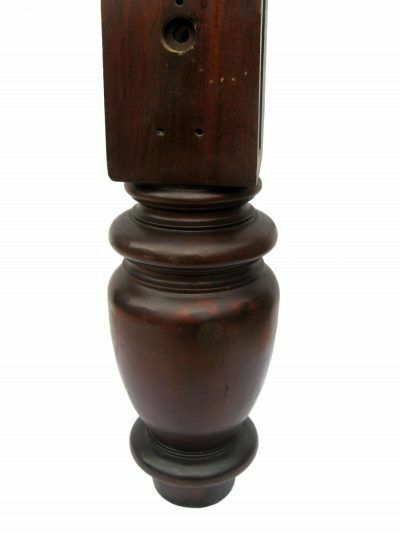 At John Bennett Billiards, we are always on the lookout for procuring antique snooker tables. With our expertise in refurbishing them, our collection is a must-see for you. We work meticulously and go through a diligent process of restoring the tables back to their original luster and condition. Antique snooker tables are not just game tables, but stunning, hand-crafted pieces of classic antique furniture surely to be a work of art as showcased in your home. At our workshops located in Kent, we store only the finest of craftsman supplies and parts specifically for the creation and reconditioning of these antique gems. Our workshops also provide us with the tools needed to perform every needed function of the restoration process such as replacing parts, wood turning, veneering and polishing. We have timbers from ages of old, which span decades and when needed, can be used to restore your table to its original pristine condition. If you are passionate about antiques, an antique snooker table is the pinnacle and foundation for all other pieces in your home. As much as the popularity of game tables will never go out of style, it’s also very common to own a generic game table. The desire to reach for something uncommon and out of the ordinary is the reason that antique snooker tables will also never go out of style. Each of these tables is unique. The designs, hand-crafted features and details are never quite the same as the next. 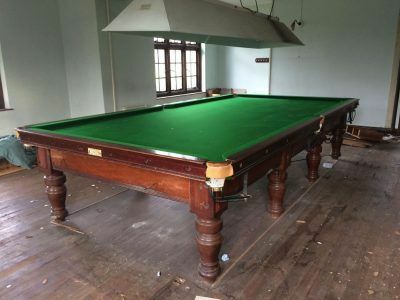 You may have heard the expression, “Things just aren’t built they way they used to be,” which cannot be more true in the case of antique snooker tables. The days of hand-crafted, original construction were not just about quantity and a mindset of cheaper, higher productivity. No, the days of hand craftsmanship were reserved for pouring heart and soul into each piece of wood, each carving and each detail. The reason why antique furniture always speaks to your heart is because the heart and soul of the construction is evident. The unique, custom details are something that cannot be reproduced on an assembly line. 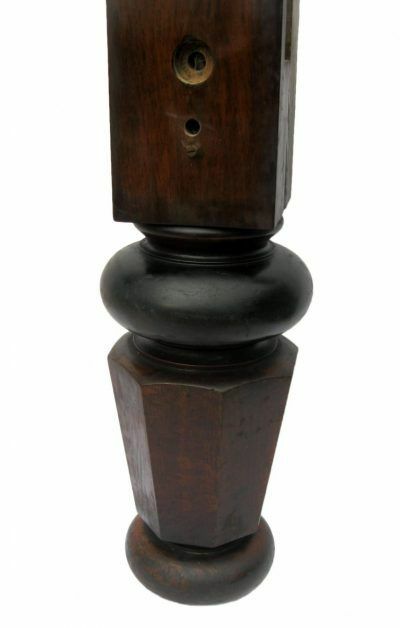 Antiques were built to last a lifetime, which is why they are still around today. These antique pieces can be hand-restored back to their original mint condition and therefore, can be passed down and treasured as heirlooms for generations. With proper care and maintenance once restored, you, too, can pass your antique snooker table on to the generations of your family, cherishing historic family roots and tradition. While trends come and go, there is nothing like honoring roots, values and family traditions. Each hand-crafted line, curve and design takes advantage of old-world craftsmanship that makes antique snooker tables one of the most popular pieces of gaming furniture. With the addition of an antique snooker table to your home, it automatically transforms the room. If you need ideas and inspiration about matching the décor of your space to one which complements your snooker table, the professional designers at John Bennett Billiards can show you how to rearrange and redecorate your room to properly showcase your beautiful focal point. 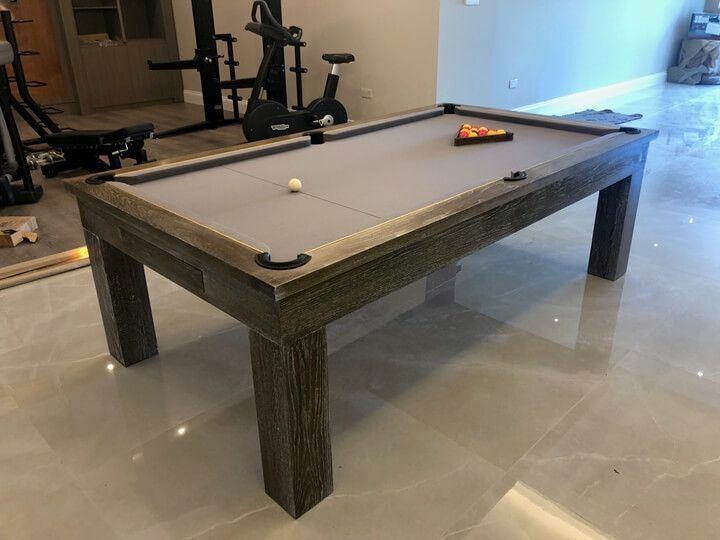 From the size of the table to the type of wood to the felt colors, you can transform your space, whether large or small, with an elegant custom-made snooker table.You can take advantage of our professional designers, artisans and crafters at John Bennett Billiards. Our design and construction experts not only bring years of experience to the task of designing and creating beautiful snooker tables for clients around the world, but are also snooker players who have first-hand knowledge of the key elements in snooker table design. 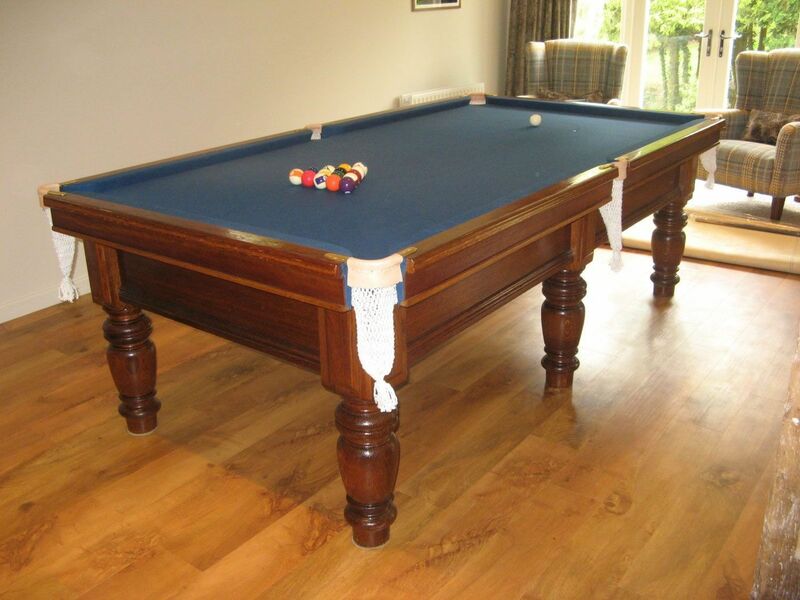 Our guarantee is to deliver the perfect antique snooker table for you. 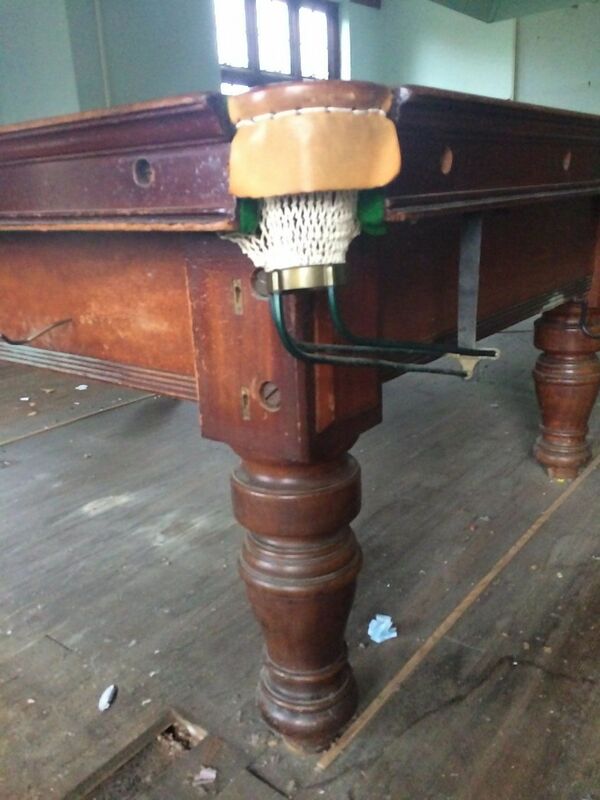 An example of which is the very beautiful and multi-functional antique snooker dining table. We use only the finest woods, stains and time-tested carving and wood-working techniques to back this up. The quality of our snooker tables is second to none. We deliver not just a well-built, durable game and/or dining table, but a true work of art. Some people think that undersized snooker tables are not as beautiful or as valuable as regular-sized tables. This couldn’t be further from the truth. At John Bennett Billiards, our collection proudly displays some very beautiful undersized snooker tables. 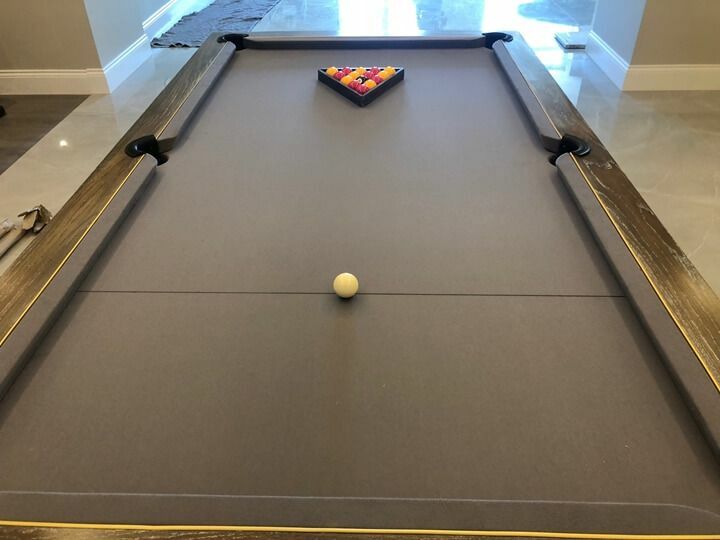 Don’t let a smaller space keep you from working with us to deliver a snooker table that adds value and elegance to your home. 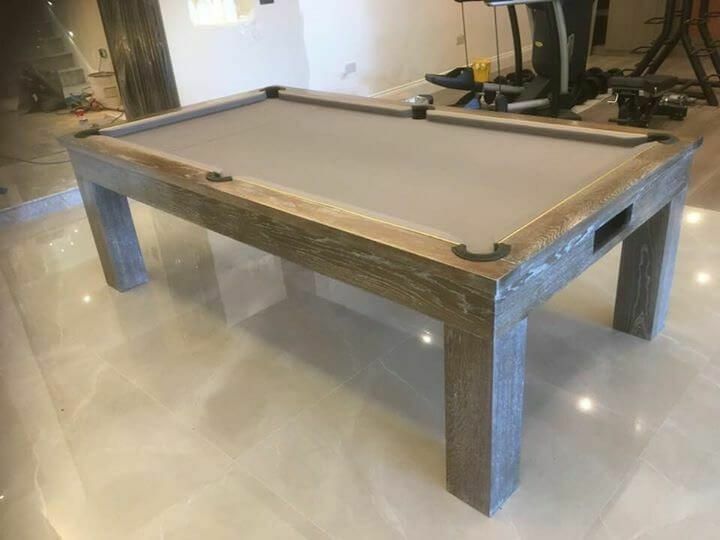 Whether you are considering the possibility of full or undersized snooker tables, let John Bennett Billiards show you our inspiring collection. Begin your journey with us. As a premier designer and manufacturer of antique snooker tables, we can show you how they can work perfectly for your budget, while adding value and beauty to your home. There’s plenty of truth in the fact that antique furniture is made better than modern pieces that you would currently find in any store. In today’s day and age, manufacturers are looking for the cheapest ways to put things together so they work – not so they last with regular use. When our antiques were constructed, they were built to be passed on through generations. 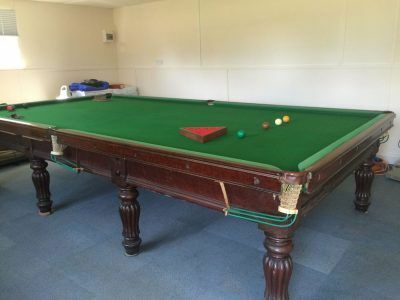 Although your antique snooker tables do have a special list of easy maintenance and cleaning tasks, their overall construction is far superior to what you would find in anywhere else. This is why they’re perfect for re-purposing as one family can enjoy using it for plenty of years only for it to be enjoyed by another family in the future. 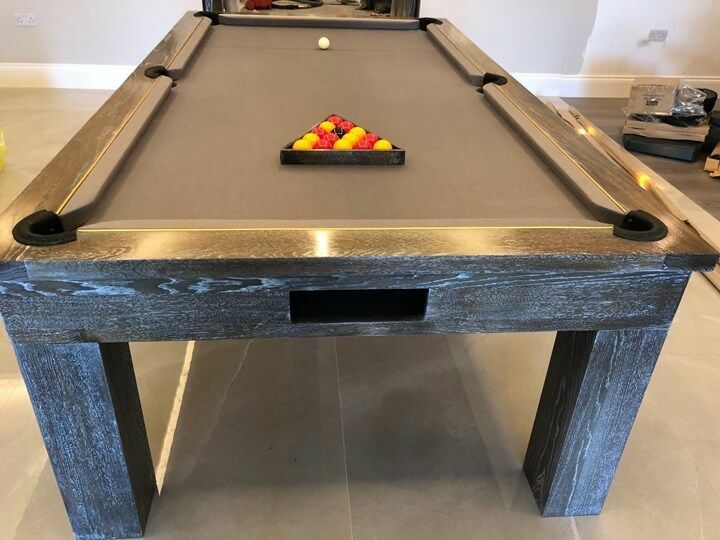 Choosing an antique snooker table is far more beneficial to the environment than buying a brand new one, simply because it is an upscale version of refinishing an existing piece of furniture. Our assortments of antiques not only have an impressive life cycle, but it gives you the ability to avoid contributing to carbon emissions. Every home deserves the ability to have character and an antique snooker table is a perfect way to experience personality without going overboard with interior decorating. It’s a wonderful option to make a room feel more comfortable without having to completely renovate an entire space. If you’ve wondered how an antique snooker table could revitalise the decor in your home, contact us today to learn more!